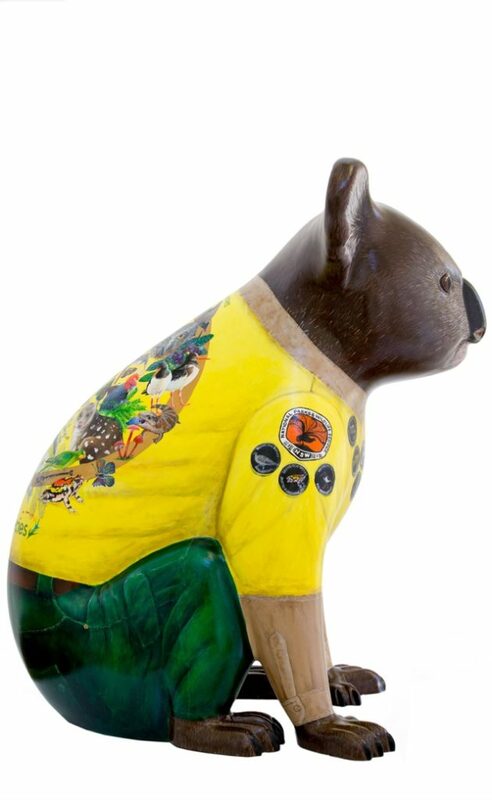 Ranger Riley is a Roaming Ambassador for NSW National Parks and Wildlife Service and the NSW Government’s “Saving Our Species” program. 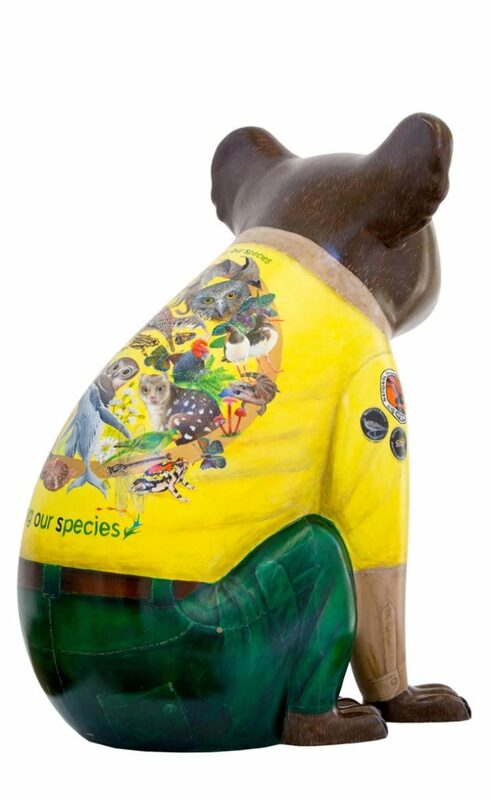 Ranger Riley features a design that incorporates images of threatened species in NSW National Parks. 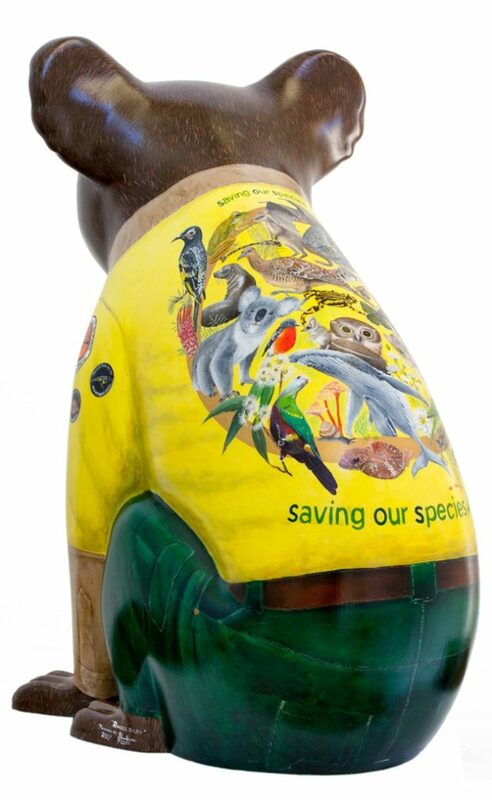 The Koala is an ideal messenger for the “Saving Our Species” program as an iconic Australian animal, itself under threat. 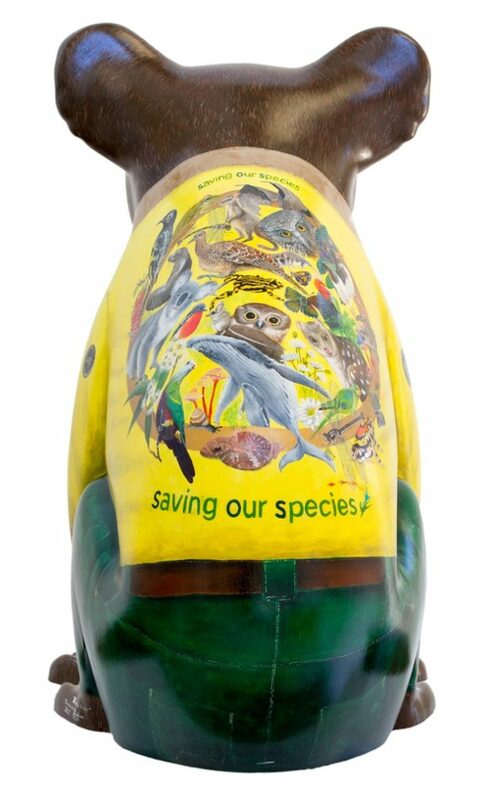 “Saving Our Species” is an innovative conservation program in NSW, which is aims to halt and reverse the growing numbers of Australian animals and plants facing extinction. This program seeks to secure as many threatened species as possible in the wild for the next 100 years. In NSW, almost 1,000 animal and plant species are at risk of extinction. 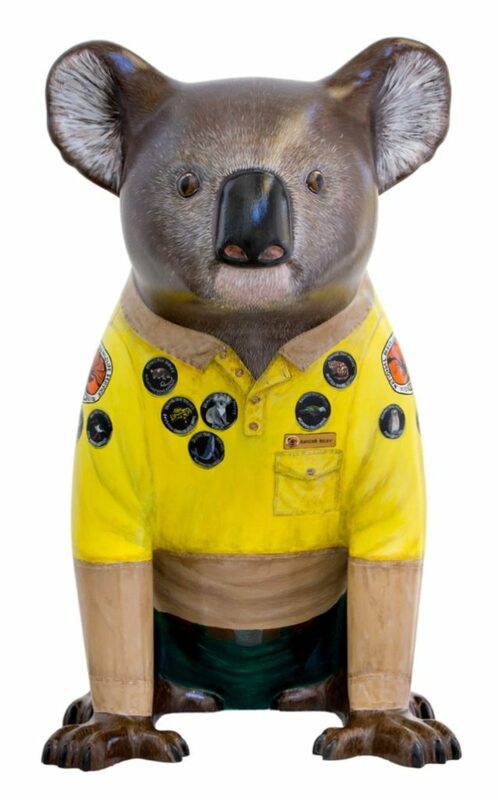 Dressed in a NSW National Parks and Wildlife Ranger’s uniform, Ranger Riley reminds and encourages visitors to NSW National Parks and people in the broader community to care for and protect the environment and its threatened species, including the koala. 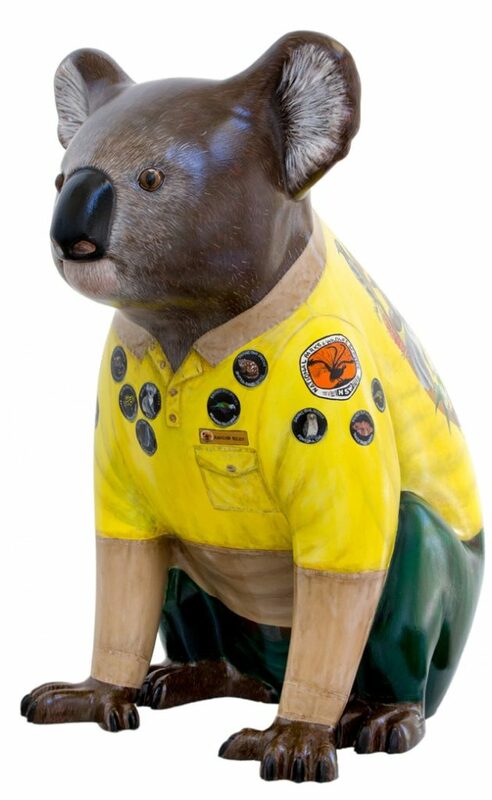 Proudly bearing 12 badges depicting some of the most threatened species in NSW, Ranger Riley also wears on his uniform an elaborate and colourful design of 37 threatened species, which forms a striking visual catchcry for the “Save Our Species” campaign. Pauline Roods has lived in Port Macquarie since her early childhood, and has been painting for over 30 years. Pauline attended private art classes and completed an art degree at NSW TAFE. Pauline is a Contemporary Realist Artist, preferring to work with Acrylic, Mixed Media and Watercolour. Pauline was twice finalist in the NSW TAFE Fine/Arts Prize, an entrant in the Wynn Art Prize and invitational finalist in the “Salon De Refuse”. Pauline has been published in the Australian Artist, Artist Palette and Acrylic Artists magazines. She was also a finalist in the top 50 artists for the 2016 Australian Contemporary Art Awards, People’s Choice winner for the Australian Lung Foundation, 2016 Just One Breath competition and NSW finalist in the Family Circle Painting/Craft Competition. Her most recent works have been commissions, of her signature underwater style, Australian wildlife paintings, individual portraits and emotive war paintings. 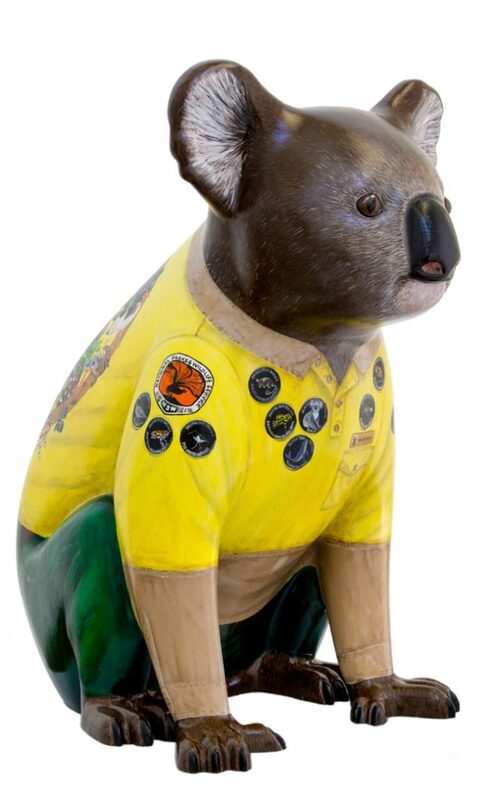 Pauline has been commissioned as an artist for 7 Hello Koala Sculptures including Mack The Surf Life Saver, The Mayor of the Koala Republic, Forest, Woody, Shelly, Kenny Koala and Ranger Riley and his customised table on which he stands. 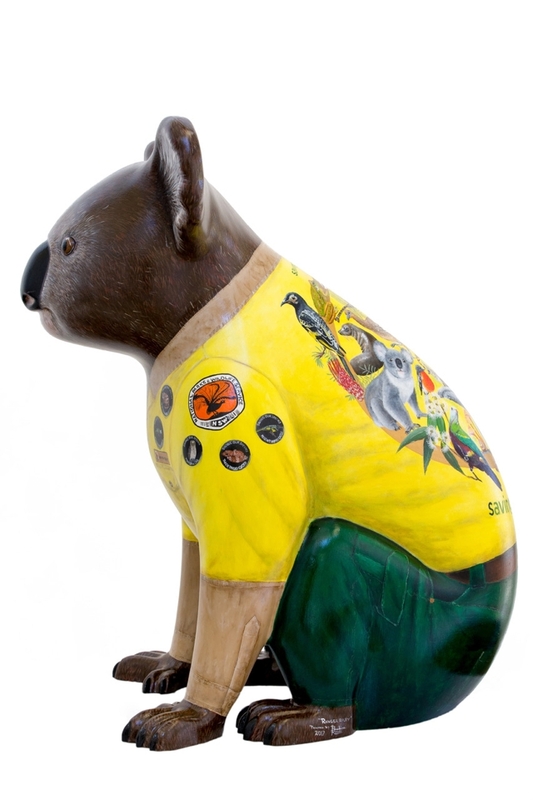 Pauline has also been commissioned to create the highly successful Hello Koalas Colouring Book, and a Hop for Hope Celebrity Kangaroo for the Alannah Madeline Foundation Celebrity Auction, in the Yarra Valley, Victoria in 2016. Pauline has had exhibitions in Australia and Japan, with 2 exhibitions in Rome Italy in 2015, a further 2 exhibitions in February and March 2016 in Soriano, and a selected artist to represent Australia at the 2016 Italian/Australian Trade Fair in Assisi. Her works hang in collections both private and commercial, in Australia, Japan, Singapore, America, New Zealand, Fiji and now Italy.